Lisa Drake, a San Francisco certified public accountant and small business consultant has plenty of advice for people who want to cut debt out of their lives. Recognizing the challenges of avoiding credit, changing your attitude about debt, creating a plan and having the discipline to follow it are some of the key elements Drake identifies as important factors to achieving a debt free lifestyle. LoveToKnow (LTK): What constitutes debt free living? Lisa Drake (LD): Being debt free relates to credit card debt and, to a certain degree, auto loan debt and student loan debt. In many states, like California for example, it's a near impossibility to own your own home outright unless you are 75-years-old and the original note holder. 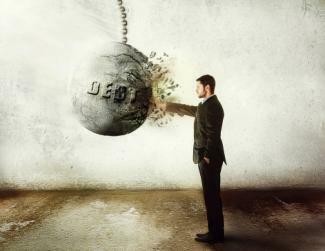 LTK: Is debt free living a realistic goal in today's consumer-based society? LD: Absolutely. It is not a foregone conclusion that you need to incur and keep incurring debt in order to live in today's society. LTK: What challenges stand in the way of this lifestyle? LD: In many areas, the main challenge to living debt free is the high cost of housing. It takes a much larger bite out of your paycheck to pay for your rent or mortgage in some areas than others. Another challenge is when people use credit to supplement their incomes. It becomes a very vicious cycle. We are also a society that has gotten into immediate gratification. My parents' generation would save to buy a television, a washing machine or a new vacuum cleaner. We just go out and charge it, even if we don't have the immediate means to pay for it. Many people seem to compensate for their lack of quality time with one another with an abundance of "stuff," as if consuming more and purchasing more will fill some void in their lives. LTK: How can people change their attitude about borrowing and living above their means? LD: Acknowledge that borrowing in order to live a lifestyle that you can't afford not only exacts a financial toll, but a psychological one as well. It's like being overweight and knowing you need to diet: you never get it out of your head. It's only when you begin to exercise and eat right that you can get rid of the demons. Debt is very similar. It's tough to change your attitude from consumer to steward, but it's essential if you are going to learn to live without debt. It feels good to live within your means. You can then divest yourself of the fear of falling off the cliff and also the element of worry and guilt. 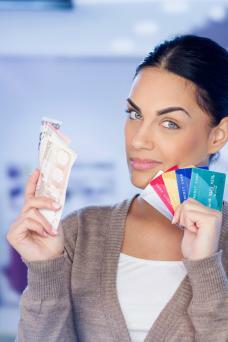 LTK: What tips do you recommend to achieve a debt free lifestyle? LD: Know your financial situation! Look at your expenses for the past year. Know what you spend on groceries, rent, transportation, medical, clothes and entertainment. If you want to get out from underneath debt, then look at what you can cut. Do you need to buy that book or can you get it from the library? Do you need that double soy chai latte from Starbucks or can you begin making coffee at home? Do you need to eat your lunch out or can you brown bag it four days a week? If you have credit card debt, start by adding up the finance and interest charges for the past year. This should be a bit of an eye-opener. Begin paying down your credit card debt. Consolidate as much debt as you can and start calling credit card companies to see if you can get your interest rates reduced. Pay more than the minimum monthly payment and work to get this debt reduced. Go cash only for a while. Commit yourself to use your credit card for emergencies and nothing else. An emergency is a car breakdown or an unplanned root canal, not a trip to the Bahamas or new Jimmy Choos. LTK: How can people use credit to their advantage? LD: If you use credit for convenience and pay it off each month, then it's to your advantage. Look for zero percentage financing for car loans. There's nothing wrong with credit that doesn't cost you anything. Not all debt is dumb debt. Mortgage interest is good debt, as it's tax deductible. Student loan interest is still at pretty reasonable rates and there's nothing wrong with borrowing for education. LTK: Do you have a success story that involves debt free living and the advantages of it? LD: I have a client who was a single mother of four. She made the commitment when she got divorced that she would never incur any credit card debt because she knew she would spend a lifetime digging herself out of it. She kept her promise to herself, and she now owns two pieces of property, including a single-family residence in San Francisco. Her children are well-adjusted individuals who know the value of money. Her youngest son lives at home, pays for his own college tuition, books and telephone because he can, not because he has to. Part of living a debt free lifestyle is learning how to manage money and save. Managing money well takes patience and discipline, but it's better than living paycheck to paycheck. Launch your debt free living plan with these steps. Calculate how much you owe. A debt calculator can help. Contact your lenders and inquire about consolidating your debt to reduce your overall interest rate and get out of debt. Look for ways to cut household costs, and apply the money saved to paying down existing debt. Explore options to generate extra family income to pay debt off even faster. Avoid taking on additional debt. In addition, the Internet has many resources to help you meet your financial goal of paying off your debt and staying debt free. The America Saves website is dedicated to educating people on the values of saving and how to do it. 66 Ways to Save offers helpful tips to reduce general living expenses, such as groceries, car insurance and utilities. Record and celebrate your progress as your debt decreases, and soon you too can enjoy a simpler, debt-free lifestyle.